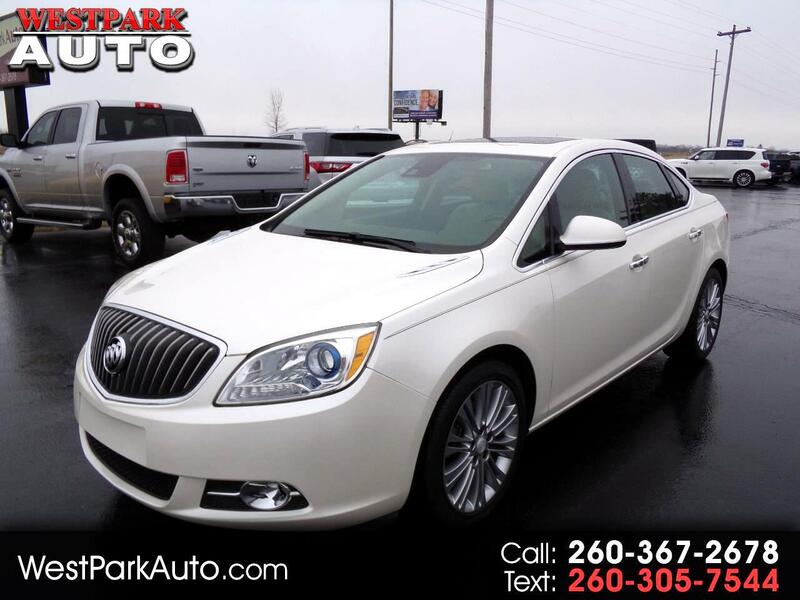 This 2015 Buick Verano is an excellent, low-mileage car with a Clean Carfax Report. This 4-door sedan is the Leather Edition with Tan Leather Seats and Brown Accents. This car features Sunroof, Heated Front Seats, Power Drivers Seat, Navigation, Backup Camera, Dual Zone A/C, Heated Steering Wheel, Power Heated Exterior Mirrors, AM/FM Radio, SiriusXM Radio, CD Player, OnStar, Universally Programmable Garage Door Opener, Automatic Headlights, Fog Lights, 4 cloth Floor Mats, and an Owner's Manual.